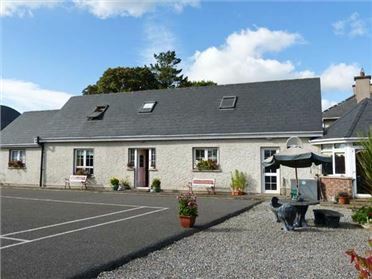 Bluebell Cottage is a lovely detached cottage less than a mile from the coast at Spanish Point, County Galway. 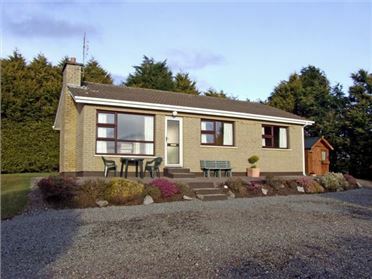 This single-storey cottage has a double with en-suite shower room, a further double and a single. There is a family bathroom with bath, shower cubicle, basin and WC. The kitchen has a dining area, and leads to a modern sitting area with open fire. The second sitting room is cosy and full of character, with a woodburning stove. Outside is off road parking for four cars, and a rear lawned area with furniture. 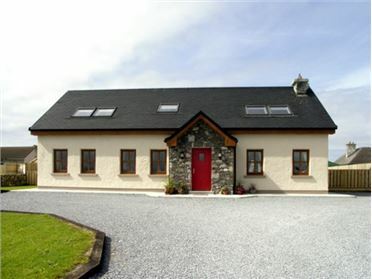 Bluebell Cottage is close to beaches, the Cliffs of Moher, Doolin and Lahinch, and is a great family County Clare base. 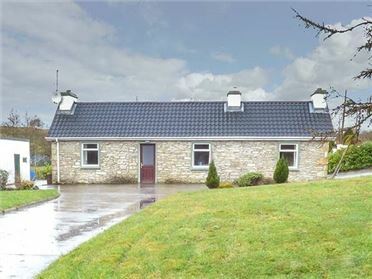 All ground floor.Three bedrooms: 2 x double (one with en-suite shower, basin and WC), 1 x single. Bathroom with bath, hand-held shower, separate shower, basin and WC. Kitchen with dining area. Sitting room with open fire. Second sitting room (seats 4) with woodburner.